There are easier things to cook than an octopus. If done right, the cephalopod is tasty and tender. When botched, it’s borderline inedible. No one knows how or why better than food scientist, author, and New York Times Curious Cook columnist Harold McGee, who recounted his attempt to recreate a memorable dish once enjoyed in Greece for a 2008 article. 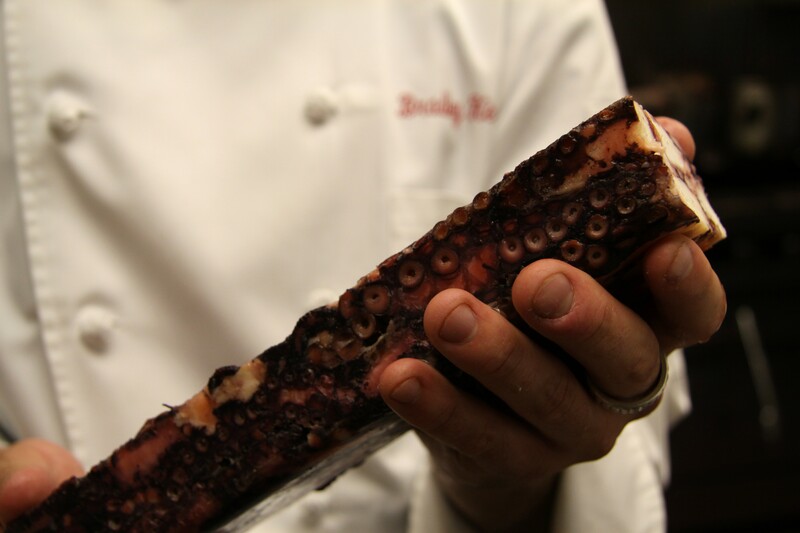 Two weeks ago, our kitchen embarked on its own octopus experiment, inspired by Avec’s dish at Food for Life. A terrine made from octopus slow cooked in oil produced an elegant block of tentacles, bound in gelatin. What exactly was causing its anatomy, which on the surface differs vastly from that of a cow or pig, to break down in the same way? McGee promptly addressed our curiosity via email.